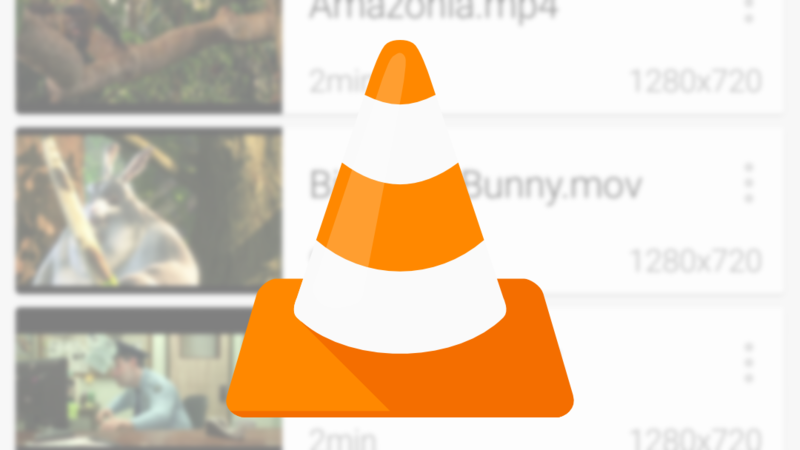 Popular media player VLC just updated the stable branch of its Android app to 2.5, and it's one of the biggest updates in recent memory. This latest update has a dynamic new UI that better fits with Material Design guidelines, PiP mode, Android Auto support, 360-degree video support, and search improvements (including Google search integration), among a ton of other smaller features. As the first major release in over a year, we've been looking forward to it for quite a while. For the long version, you can read the notes from VLC Android developer Geoffrey Métais. A lot of these features were introduced in earlier betas, but this is the first time they've hit the stable channel, and some of them should sound familiar from our beta coverage. 2.5 hit RC status just last week, but the features have been in testing for most of the last year. The changelog doesn't quite do it justice, but that's included just below. The first changes you'll notice after launching the app are visual. There's been a significant push toward Material Design on the part of developers, with a ton of new animations and dynamic actions. Content is more active to visually respond to your interaction, like changes in sorting depicted above. The overall design of the app is much cleaner now as well, with changes to cards and list views for both audio and video. It's all a bit simpler and cleaner. The audio player has also been visually refreshed to make use of album art in the background, which is a nice touch. 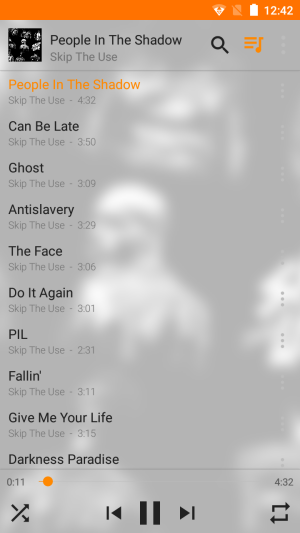 VLC on Android TV is now using the same blurred covers, too. Media titles also now (finally) scroll. So you can more easily tell the difference between similarly-titled items by just waiting a bit. If you use Android Auto and prefer having VLC to navigate the music library stored on your device, the new Android Auto integration is sure to come in handy. It looks and works almost exactly like every other audio player on Android Auto, and that's pretty much ideal. It's also got support for the Google Assistant, so you can easily control your on-device music in your car by voice. 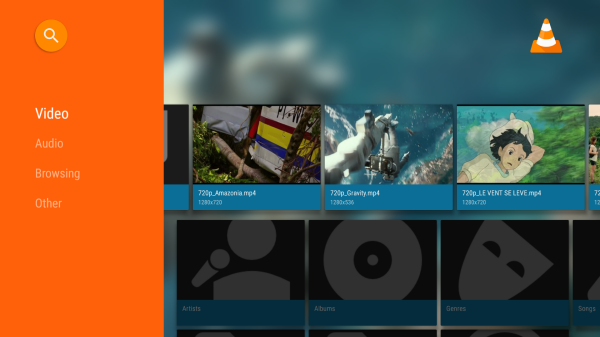 VLC has made some changes to how it does search, too. Now when you search for something it first filters your current view and then presents the option to search your whole library. It's also able to integrate with Google search, so you can quickly ask the Assistant to search for something in VLC, and see the results in the app. There are a ton of smaller features as well. PiP mode works for Android 8.0 Oreo devices, as well as Android 7.0 Nougat-based Android TVs. The app has also been better optimized for Chrome OS, so it should work quite well for Chromebooks with Android app support. There's also 360-degree video support, Day/Night mode support, equalizer custom presets, a save/resume position feature for podcasts and audiobooks, and even support for recent phones with unusual aspect ratios. I really just recommend downloading the app to play around with it. Listing the changes doesn't do them justice. I haven't been the biggest fan of VLC, myself, since I prefer a simpler approach when it comes to media playback, but this latest update has me thinking twice. You can download this latest update over at Google Play, where it's already live, or sideload it via APK Mirror.